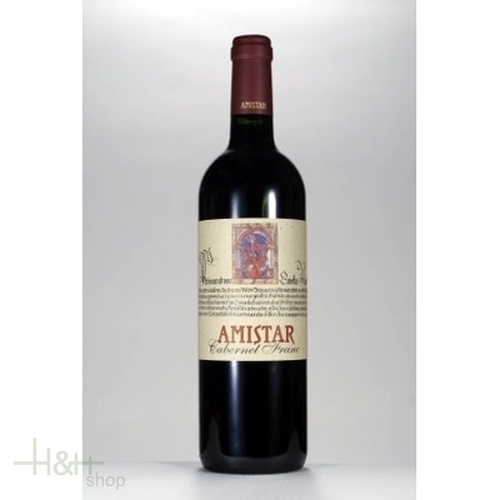 Description: It is an absolute speciality to bottle a pure Cabernet Franc. This brother of the Cabernet Saugivnon is a very elegant and gentle red wine. It convinces with its pleasant fruit taste, like fruits of the forest and its strong, caressing character on the palette. Position: Gföllhof in Leifers, vineyard is very closely planted with approx. 2015 vines per hectare. Land: Loamy land containing sand on porphyry. Harvest: End of September, beginning to middle of October. The Amistar concept requires a minimum of 19.0° KLM and a small part of late vintage. Development: Mechanical removal of the stems, traditional mash fermentation in stainless steel tanks at controlled temperature. Juice extraction of about 10 % in order to increase the concentration between juice and skins. When fermentation is completed the wine is extracted the marc and then stored in barrique casks for biological acid degradation for about 1 to 2 years. Food recommendation: Cabernet Franc is particularly suited to lamb, white meat, an also to venison and grilled meat, because of its gentle character. It is also an accompaniment to good hard cheese and is interesting for a variety of salamis.